This is seriously delicious! 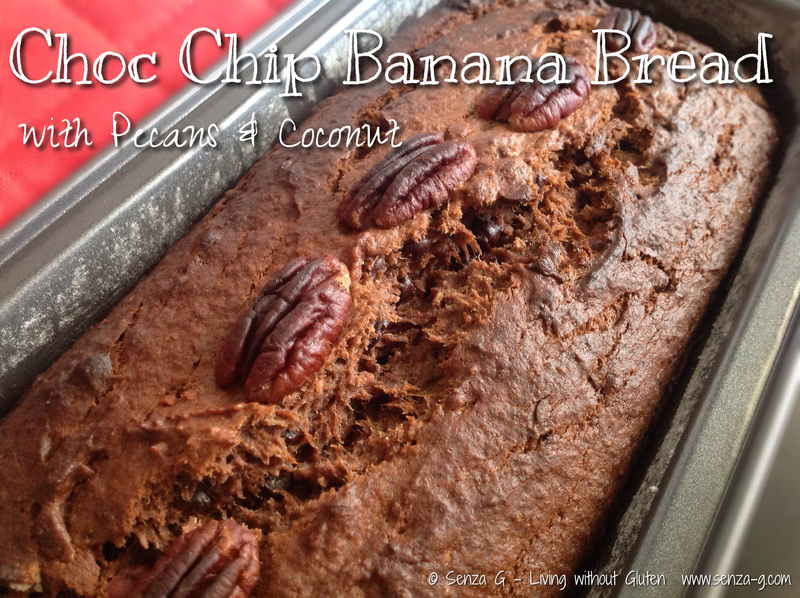 What a great combination of flavors, banana, Rum, pecans and coconut … you have to try this! Preheat oven to 170C. Grease a loaf pan & dust with flour. Set aside. Cream together the sugar and butter until fluffy. Add in mashed bananas and Rum or Rum Essence and blend well. 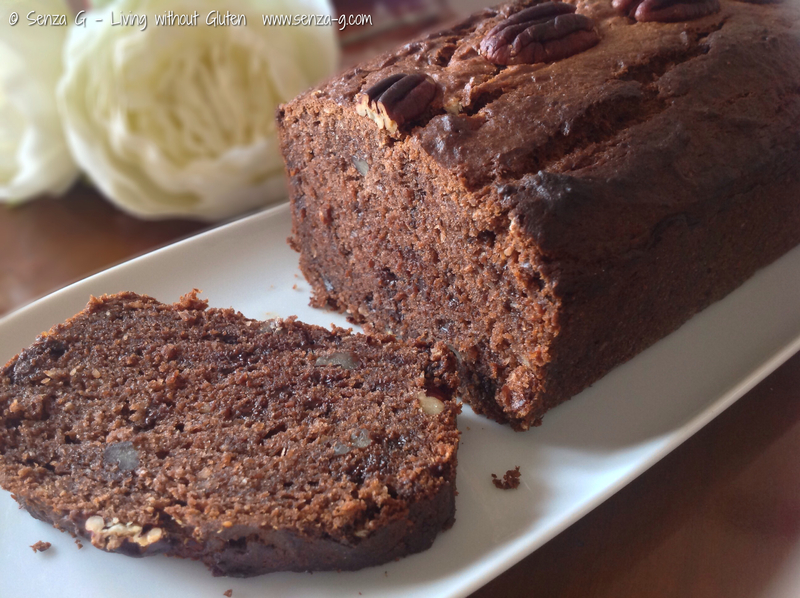 Whisk together the gluten free flour and buckwheat flour, cocoa, baking soda, baking powder and salt. Pour half of the flour mixture into the wet mixture and stir until combined. Add in the yogurt, the coconut essence and mix again. Add the remaining dry ingredients, mixing well. Fold in the chocolate chips, coconut & pecan nuts. The batter will be very thick so you need to use some elbow grease! When everything is well combined, spoon this batter into the prepared loaf pan. 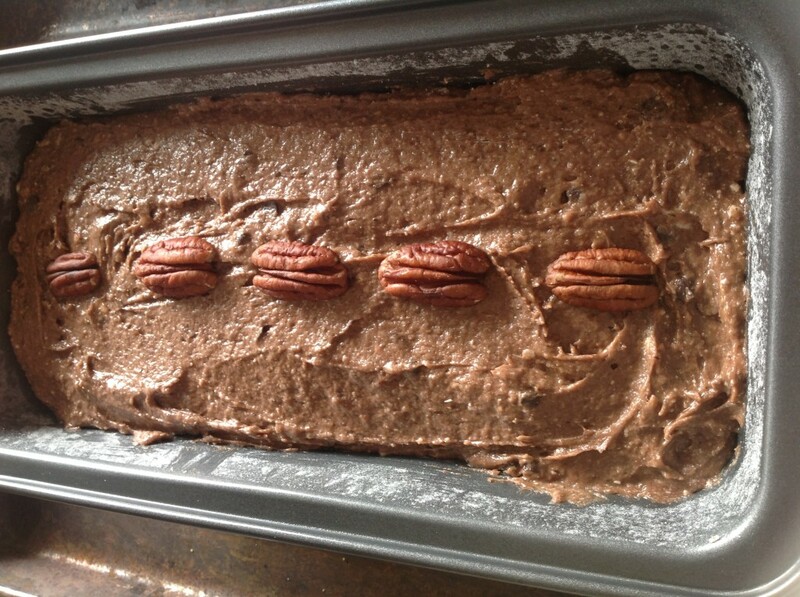 Slam the loaf pan gently on your counter top so the batter will be even. Place a line of pecan nuts down the middle. Bake for about 75 minutes or until a skewer when inserted in the middle comes out clean. Leave to cool before removing from loaf pan.